Why use a pendant light? How big should the light be? Which light should I choose for above a dining table? How bright is a pendant light? A pendant light is one that hangs from the ceiling, either in the centre of the room, above a dining table, in an area you wish to illuminate or perhaps as a feature in the room. Our range of pendant lights covers every conceivable style and design, from unobtrusive to elaborate, simple to ornate. 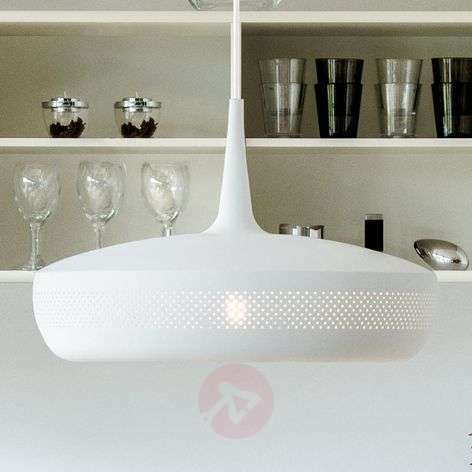 To find the perfect pendant light for your room, just take a little time to look through this section: We’ve got exactly what you’re looking for, you just need to find it. We have pendant lights for use indoors and outdoors. The first thing to do is to think about what style you’d like - country, contemporary, rustic, modern, traditional, art deco, antique, chandelier, stained glass or maritime. 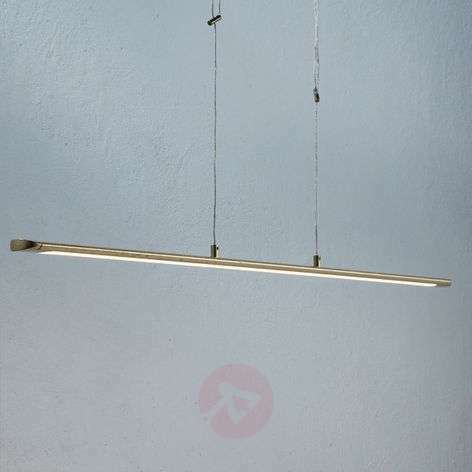 Our lights are made from a range of different materials, including chrome, glass, brass and aluminium together with all sorts of shades, fabrics and colours. Generally, there are two types of pendant lights: those with opaque sides where the light will shine from the top and/or bottom only. The other type has clear or translucent sides through which your light will shine. Pendant lights are very often the central focus in a room because they are the main source of illumination and are often the first thing you see when you enter that room. 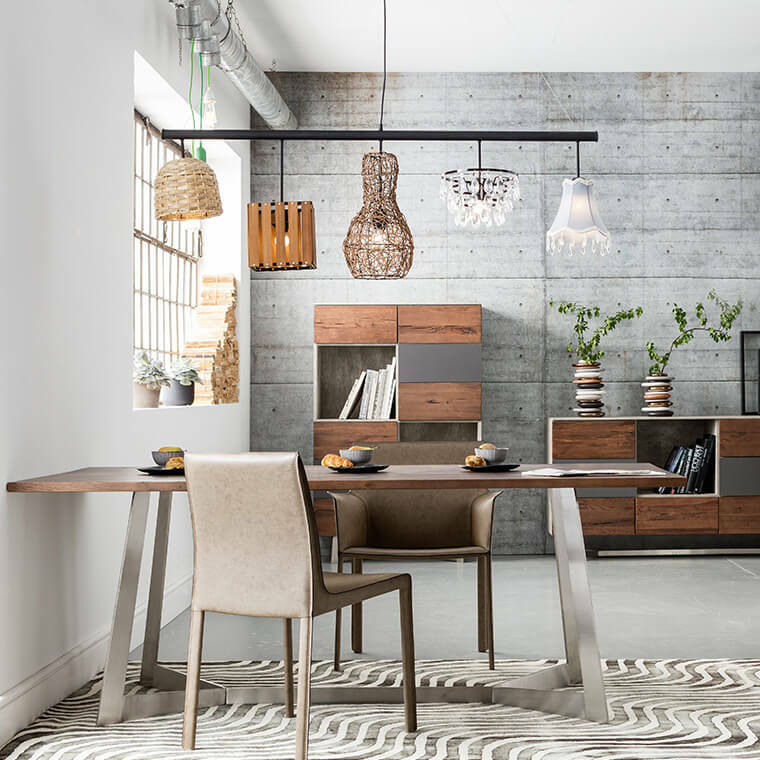 They can set the tone for the space and determine the theme of your décor which means you are absolutely right when you take your time to decide which pendant light to choose for each room in your home. Or you can work it the other way: Look for a pendant lamp in here that will suit your existing décor to a tee. 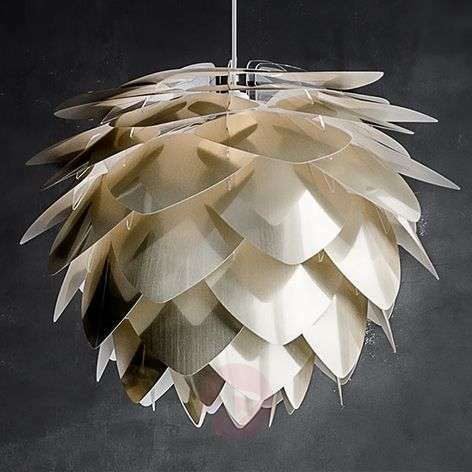 Lights.ie has the perfect pendant lights for your home. Our quality is, of course, impeccable and our range is amazing, so happy hunting. A pendant light is often the first thing you see when you enter a room because it is usually in the very centre of the room and is at just above eye level. This is why it can set the tone for the entire room, influencing or reflecting all of your other elements – curtains, paint, furniture, fittings, etc. 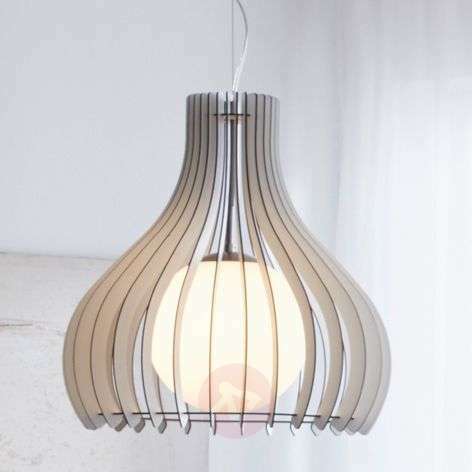 A pendant light can be the main source of illumination or used to highlight other areas such as a dining table, play area, work space or piano, for example. The main reason to use a pendant light is to illuminate a specific area like this, creating a focused situation in a pool of light. The other reason to use a pendant light in your room is to use it to illustrate your own design style. A statement of your flair, if you like. This is a tricky question. We have dozens of fabulous pendant lights for you to choose from but it’s always a very personal choice. However, we can help. To find the perfect light, use the search filters at the top of this page. If you still can’t decide then simply ask one of our advisors in customer service here. 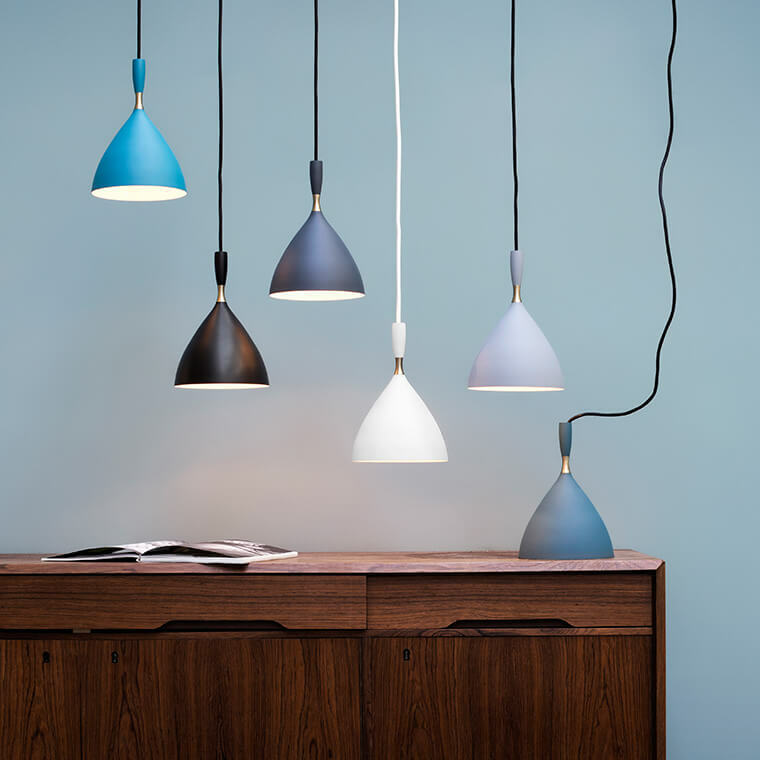 What are the main types of pendant lights? Yes, some lights come with a colour remote control which lets you set the luminous colour from warm white (2,700 K) to daylight (6,500 K). The remote control can also be used to dim the light too. Most pendant lights with LED bulbs have them built-in. To find out if the light you’re interested in has a built-in bulb or not, just check the specifications on the product page for that light. If the technical specifications do not specify a base type then the light bulb will be built-in. These LED bulbs have an impressive life span of between 20,000 and 25,000 hours. 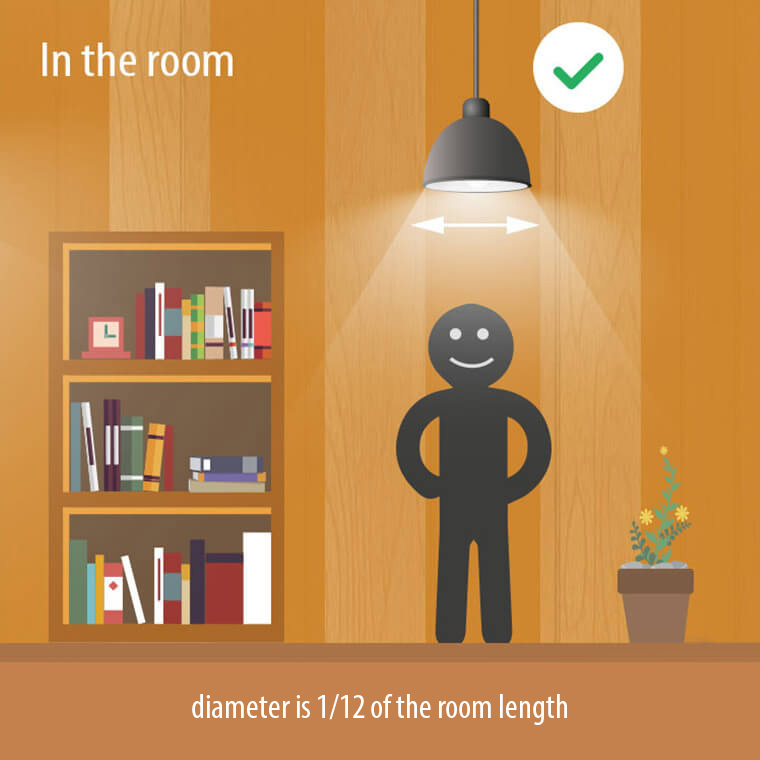 If your pendant lamp is for general illumination of a room we advise that you choose one that matches the size of the room: a general rule of thumb is that the diameter of the light should not be greater than one twelfth of the length of the room. If the pendant light is to go above a dining table, choose one with opaque sides so that the light will shine from the bottom only. This will make sure that everything on the table will be lit properly. 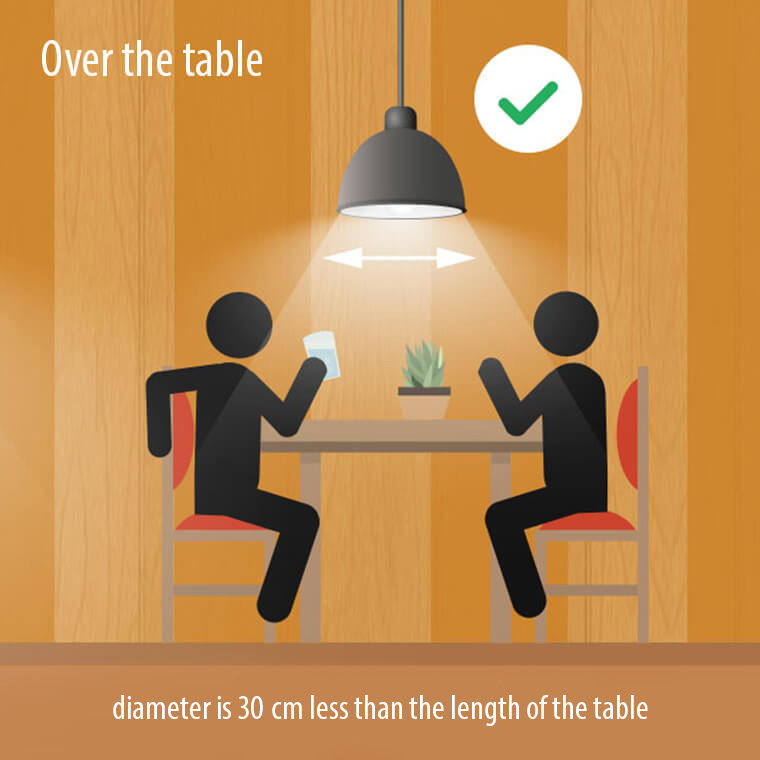 Make sure that the pendant light is hung low enough so that it illuminates the table but doesn’t shine in your face when sitting down – we reckon you should leave 80cm to 100cm between the table and the bottom edge of the light. The brightness of a pendant light is measured in “lumens”. When you find a light you like, you’ll see its rating in lumens by checking the technical specifications on the product page. Our LED ceiling lights don’t have that cold blue light of older lights but are available in a warm or neutral light as well. They are extremely energy-efficient too. Are your pendant lights fire-rated? All of our lights comply with European norm DIN-EN-60598-1. If you’d like more information, just ask one of our advisors here and they’ll be happy to help. Yes, we offer a full range of dimmable pendant lights and you can find them by specifying “dimmer included” in the search filter above. You can also specify a “touch dimmer” which is a dimmer function built into the body or lead of the light. When you find a dimmable light you like just check the specification on the product detail page to make sure it is dimmable. If you find a pendant light that you really want but it’s not marked as dimmable, you might be able to use a dimmable light bulb instead – just ask one of our advisors here. As always, please consult a qualified electrician when considering installing a dimmer.